Upon joining the Creative Services team at Icom, one of my tasks was to explore new layout and navigation options for key sections on Icom’s website. 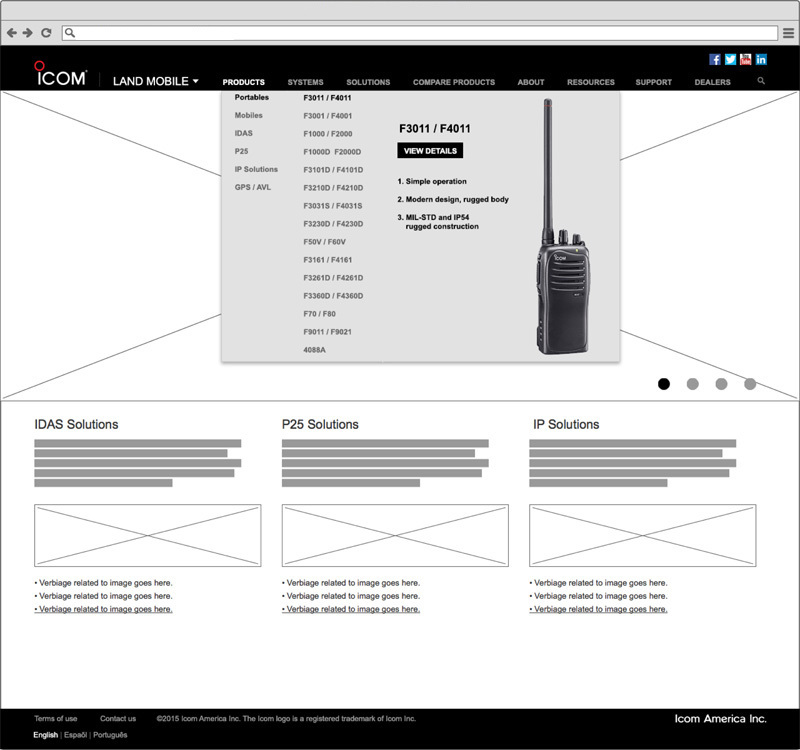 Below is a wireframe of Icom’s Land Mobile landing page displayed with expanded navigation options. Page elements include a large image carousel featuring Icom’s latest Land Mobile product offerings, along with prominent points of entry to IDAS, P25 and IDAS solutions. The drop down navigation menu provides points of entry to Icom’s various Land Mobile product categories.